In May of 1996, Andy Wilson started working for Cut-Rite Tree and Spray located on the West Shore of Lake Tahoe. In 1998, Andy took command of the tree crew and was Cut Rite’s foreman until moving to the east coast in the summer of 2000. In New York, Andy worked for Bartlett Tree Experts and continued to hone his climbing and pruning techniques. In addition, Andy was sent to Bartlett’s 220 acre tree lab in North Carolina to learn specialized skills and receive his certification as an Integrated Pest Manager. Since that time, he has worked in virtually all pockets of Truckee and the surrounding towns. In 2008, Andy received his arborist certification from the International Society of Arborists. He is a member of Tahoe Donner’s defensible space arborist program. Design and Marketing services in Corporate Identity, Websites, Tradeshows, Printed Material, Multi-Media Advertising and much more. Advertising Services. Marketing Strategies. Digital Media & Design. New Jersey. Lloyd Blake, affectionately known to many as “Coach Blake” has been involved with physical fitness and sports his entire life. With degrees in Health Science, Education, Business Management and a certification from the International Sports Sciences Association, his vast area of expertise is what makes him the consummate professional in his field. Built from the ground up for the serious filmmaker. Every detail, from sensor design to lens mount to I/O and codec is inspired by and created for the industry. We interviewed hundreds of people in the business to truly understand their wants and needs. They spoke; we listened. The result - the Canon Cinema EOS system. Leveraging decades of Canon experience delivering imaging technology and services, Cinema EOS is more than the sum of its parts - camera body, lenses, service and support; it's a definitive HD motion picture system, conceived as an extension of the cinematographer. Church & Dwight's Performance Products Group leads the industry, providing the highest quality bicarbonate products, optimized to meet our customers’ highest expectations in an astounding variety of applications. From food and pharmaceuticals to chemical processing, water treatment and emerging environmental applications, our product and service standards are second to none. Today -as it has for 160 years – the ARM & HAMMER® logo communicates our commitment to quality and customer satisfaction. It’s how quality makes itself known. Welcome to the Diamondtooth Building in picturesque Telluride, Colorado. Named after Diamondtooth Lil, a successful madam during the mining era. 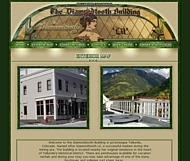 The building is located nearby her original residence in the heart of Telluride's Historical District. There are penthouses available for vacation rentals and during your stay you may take advantage of one of the many boutiques and galleries just steps away. Farbest Brands is a manufacturer and distributor of specialty food ingredients. For over 50 years food and nutrition companies have relied on Farbest to provide high-quality ingredients and prompt service. Farbest Brands has a proud heritage of custom manufacturing ingredient blends for the most discriminating food and nutrition companies in the world. At Hudson Technologies, we focus our full attention on refrigerants and how they impact chiller performance. From refrigerant sales and reclamation services to on-site problem solving and energy-saving assessments, we lead the way in ensuring that your systems operate at peak performance. Every time we disconnect our conscious mind and drift into the sweet realms of slumber. We step into the other world of colorful, vivid, imaginative and fantastic shapes and sounds. This state of reverie tells us who we are and what we need to do in order to better ourselves. Peak Landscape is a Design/Build firm that specializes in creating unique landscapes that are aesthetically pleasing while at the same time serving the functional needs of the property. Peak Landscape is unique in that our experience comes from large scale commercial projects. We have adapted the techniques required to efficiently complete golf courses and large scale commercial projects to less ambitious residential landscape construction and maintenance. Located just steps from the gondola, in downtown Telluride, Peaks Real Estate is a full-service firm with expertise throughout San Miguel County, in every aspect of the Telluride Real Estate market. Sally and her staff have lived in Telluride for over 30 years, giving them extensive knowledge of the area and a first-hand understanding of the trends. That means you can be confident of finding the perfect property for your needs, tastes and lifestyle. Sally offers some of the most exclusive properties available on the Telluride Real Estate market. Sally Puff Courtney, an affiliate of Sotheby's International, in Telluride Colorado offers slope side lots, condominiums, luxury estate homes and custom built log and stone retreats. 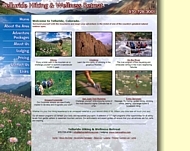 Our Telluride real estate web site is designed to provide you with luxury listings and the latest real estate market information. Featuring the finest properties in Telluride and Mountain Village including The Peaks Penthouse, Elk Run, Aldasoro, West Meadows and other area luxury real estate. Stay with us and you will enjoy the highest commitement to personal service that our company is known for -- award winning service that has been featured in The New York Times, Gourmet magazine, Zagat Survey, and Conde' Nast Traveler. Servicing the North Lake Tahoe area, Squaw Valley Plumbing has installed complete plumbing projects in an estimated 60+ homes since 1974. Squaw Valley Plumbing specializes in high end custom homes with hydronic heat, designer kitchens and baths. Dutton Masonry is a full-service masonry company that can assist you with any project, from minor repairs to major masonry construction. We are EXPERTS AT NEW CONSTRUCTION! We handle both commercial and residential masonry construction. We have completed projects on over 30 lake front homes. When you utilize the quality services of Brad Dutton Masonry Inc., you can rest assured that your retaining wall will stay put. We apply the same care and attention to detail to all our projects, great or small. We are able to match existing masonry work, or build new according to your specifications. We strive help every client achieve the look they desire. We offer strong, competitive prices without sacrificing quality. Our work will not only function well, but will be aesthetically pleasing. Whether it’s your first hiking experience to an unmapped waterfall or your second climb of Mt. Wilson your time here will touch your soul. Our all season programs will refresh your body and rejuvenate your spirit. A selection of 3-7 night programs offer opportunities for all ability levels from gentle walkers to seasoned mountain warriors. Our enthusiastic and expert guides will ensure that your adventures are fun, safe, and inspiring. Local Telluride Real Estate Brokers showcase the area's largest selection of real estate in Telluride. Featuring Telluride Colorado buyer's agencies, a pristine selection of Ranches in Colorado, Slope Side Condos, Telluride Luxury Homes and more...Telluride awaits! This is your chance to own real estate in Telluride Colorado. Tired of the crowds at Vail and Aspen then try Telluride, Colorado's premiere vacation and resort real estate. "Challenge is a dragon with a gift in its mouth…Tame the dragon and the gift is yours."